Marni Jackson is a Toronto writer whose latest book, Dont I Know You?, will be published by Flatiron Books, NYC, on September 27th, 2016. This collection of interlocking stories marks her fiction debut. For much of her career Marni has worked as a journalist, winning numerous National Magazine Awards for her humour, columns and social commentary. She has also published three nonfiction books, including the bestselling memoir, The Mother Zone (1992). Although she is known for writing about family culture, her interests are broad and eccentric. Her work has appeared in publications that include Rolling Stone, Outside, Macleans, The London Sunday Times, Saturday Night, Brick journal and The Walrus, on subjects that include the boomerang generation, the doctor-patient relationship, big game-fishing, women in the film industry, wilderness canoeing, the medical mistreatment of chronic pain, the contents of her closet, and our secret lives with Leonard Cohen. Marni has taught creative nonfiction courses at Ryerson University, Humber College and the Banff Centre, and is considered one of the countrys leading nonfiction writers. For the past ten years, she has been a faculty editor with the Mountain and Wilderness Writing Program, a unique writing residency at the Banff Centre. She has also served as the Rogers Chair of Literary Journalism at Banff, and worked as a senior editor at The Walrus in its ascendant days. 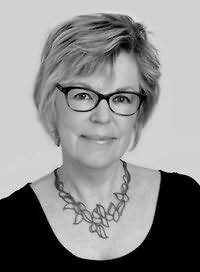 Her professional roles have included a stint as book columnist for the Globe & Mail, several years as host of the TVO book show, Imprint, and ongoing work as a freelance editor. In 2015, Marni was involved as co-writer of the film, Al Purdy Was Here, directed by her husband, Brian D. Johnson. This feature documentary about English Canadas greatest and most unlikely poet premiered at the Toronto International Film Festival, where it was voted second runner-up for the Grolsch Peoples Choice Documentary Award. Featuring an all-star literary cast that includes Margaret Atwood, Michael Ondaatje and Leonard Cohen, with original music by Bruce Cockburn, Sarah Harmer and Tanya Tagaq, the film has been shown in over 60 cities and towns, as well as at film festivals in Havana and Panama City. The impetus for this project grew out of Marnis involvement in a national fundraising campaign to restore Al Purdys home-made A-frame cabin as a writers retreat. (Its now up and running). She is also working on a stage show about Al Purdys life.